This is another pattern that I love, and that I´m wishing to get it on my needles. 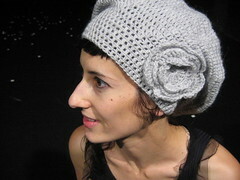 I´m always fascinated about 20´s hats. This is the first one I did. I was very happy with it.